Cleans and disinfects the bathroom space, leaving a pleasant scent. 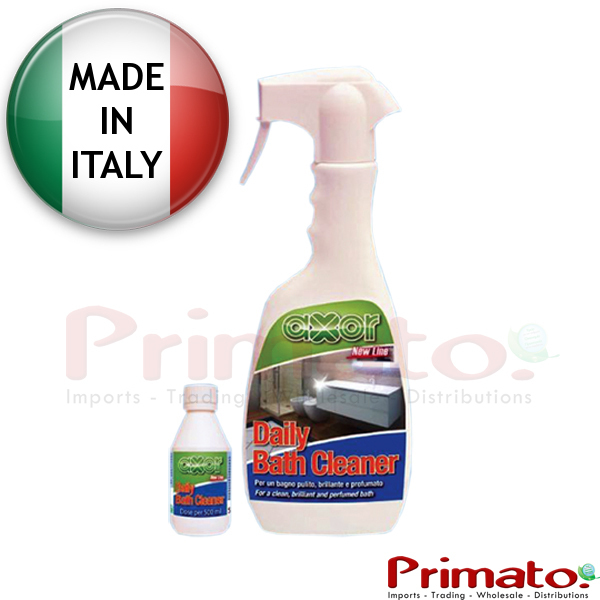 Removes dirt and salts from tiles, plastic and chrome surfaces. Code: ID111. Packaging: 500 ml Bottle with sprayer. There is a superconcentrated replacement for this product. (Code: ID111R). If there are spots with too much dirt or salt, let it act shortly before cleaning. Once you have finished cleaning, you can re-fill it by using a replacement Refill ID111R. Just empty the replacement bottle into the Daily Bath bottle, fill with water and mix lightly.